It should almost be forbidden to come up with a recipe like this. Because it’s almost as easy as it’s to scratch your hair. So this is not the great rocket science. 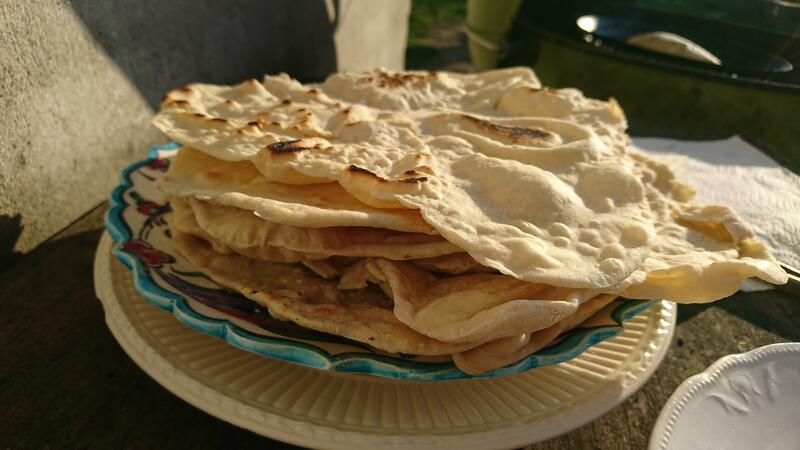 And you don’t have to roll the whole arsenal out of different remedies to make these Turkish flatbreads. 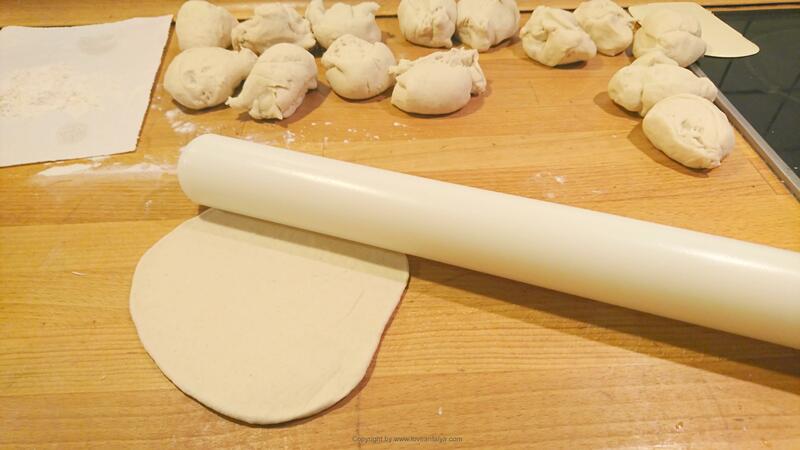 Flour, water, salt, yeast and then raise a little roll, roll, roll and then fry them on a pan. And wupti, you have the most beautiful freshly made flatbreads, that you can imagine. And believe me … when you’ve tried to make these, you do not want to go to the supermarked and pay 1,5 eur for a bag of 4 pieces of half-dried bread baked a week ago. Or … maybe YOU want to. But if you have children, I can promise you, that they will almost demand, or at least ask, why you don’t make them yourselves. And as a bonus, these are so easy to make, that your kids can make them alone, while you’re doing something else. (HA, who says child labor isn’t good sometimes? Just a joke of course). My lovely mother in law has also made these so many times. And that’s one of the first things I can remember, when I started coming in the family. Freshly baked flatbread and delicious different food. So yes, it’s no wonder, that I have fallen in love with Turkish cuisine. It was so much different from everything I had ever tasted before. I remember that my mother-in-law stood and fried her bread on the frying pan. But if there were left overs the next day, the breads only needed a little water and just a turn on the hob (!!) or the stove again and wupti, there you have the most delicious steaming hot bread. A bit crazy and exotic in my world (because my mother have never done something like that). 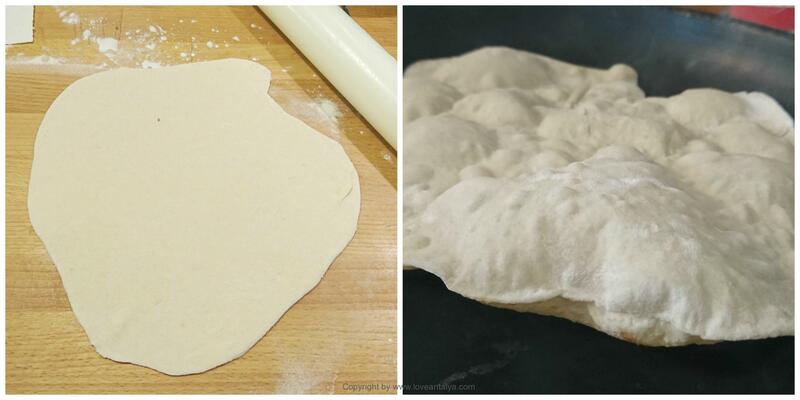 These flatbread can be used for several things. I really like them together with meze or a good pot because I love to sit and soak the juice or the filling up with bread. And then I really like that these breads are not real bread. Understood that it is not a heavy bread, that fills the stomach like the otherwise lovely Pide ekmek. Sometimes it just has to be light. 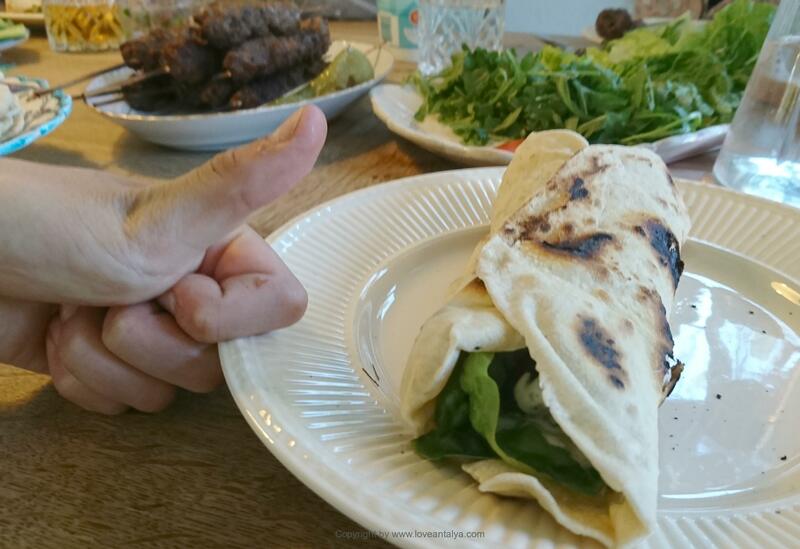 And, of course, the breads can be used as wrap around something – or dürüm as you would say in Turkish (that means roll and I’m sure you know them). 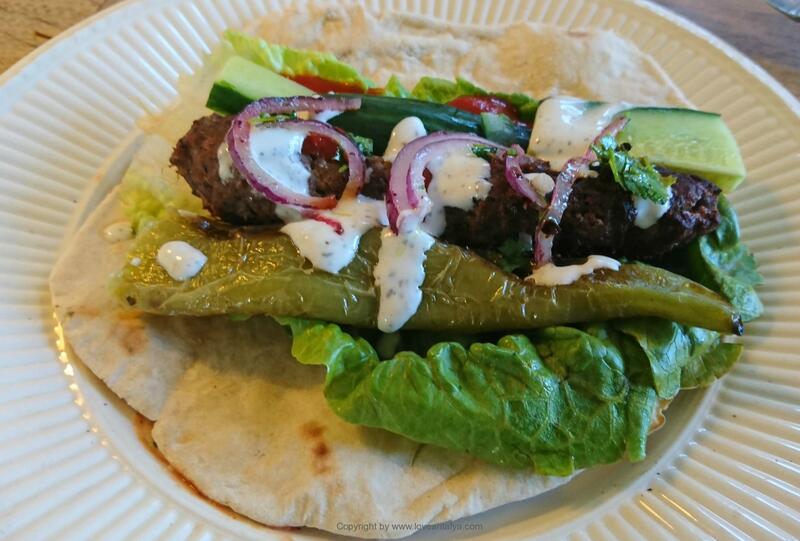 The most obvious is around kebab or köfte with a little salad, a little onions and parsley and maybe a little dressing or whatever you just find. 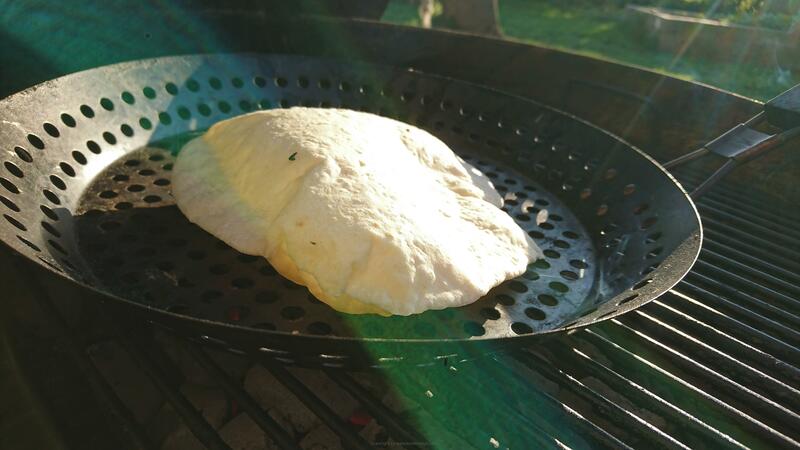 Everything is good in the company of these flatbread. However, I would highly recommend you only to make the ones, that you need for your dinner. They soon become a bit boring the following day, but as mentioned, they can be heated by first wetting them with a little water and then on the pan. When frying them, it’s important, that it’s on a dry pan. 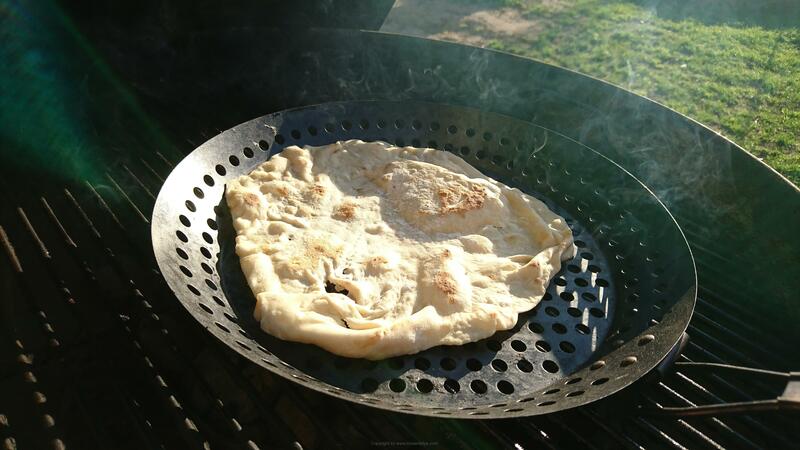 Otherwise, you will have a failed attempt on Indian Naan bread instead, if you use grease on the pan. 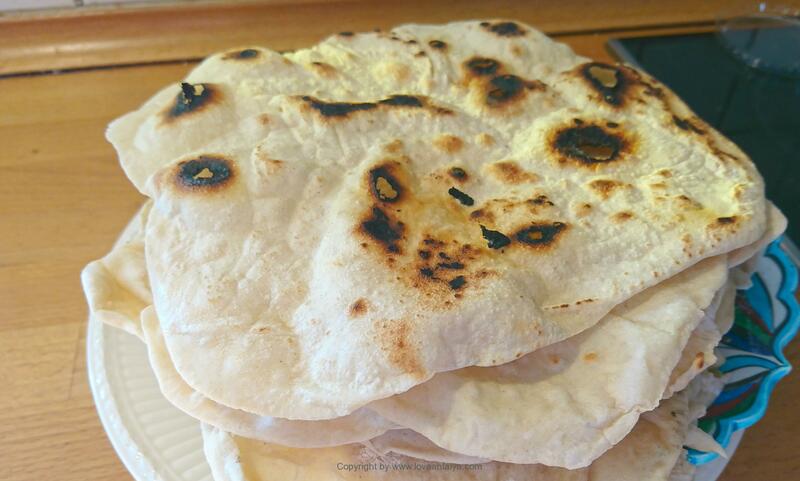 I remember that my mother-in-law often made enough flatbread, so she could put some in the freezer. So her boys could just pick them up and heat them, when they got home from school and work. I have not tried it, but I’m sure it would also be a hit at home. And then it’s nice and easy. 1: dissolve the yeast in the water and knead the other things in (not all the flour at once) - the dough must be slightly moist and smooth, so that it is easy to work with.